Preheat the oven to 180°C/360°F. Purée the red beans in a food processor together with the cocoa powder, eggs, and baking powder. You can also add cinnamon, dates, or nuts if desired. Transfer batter to a lined baking pans and bake for approx. 30 min. Then set aside to cool. Put the frozen strawberries and banana into a blender to make the nice cream. Slice the brownies and top with some nice cream. 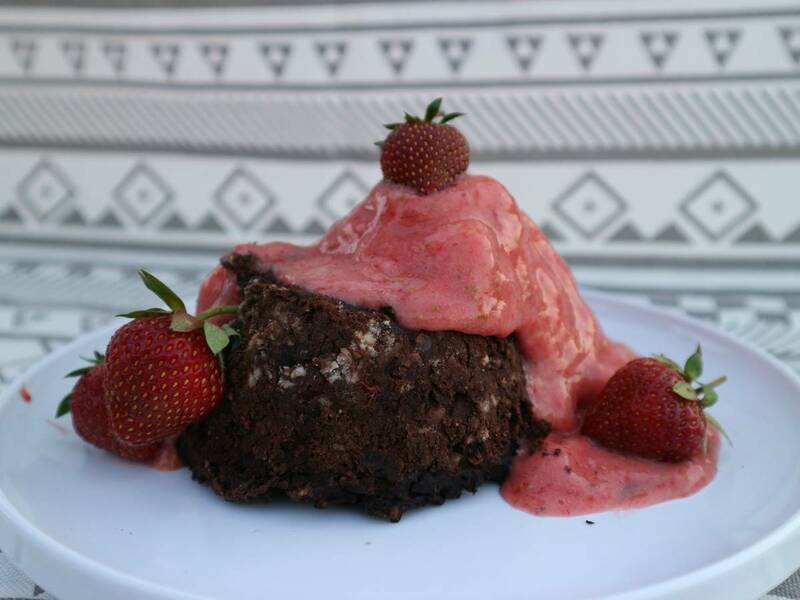 Serve with strawberries and enjoy!